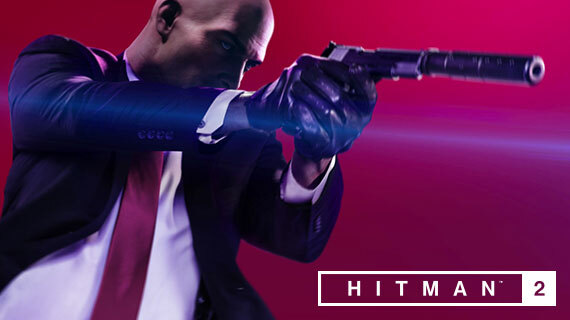 Fans of Agent 47’s stealth sandbox exploits have travelled the world with their follicularly challenged friend over the course of several games. We've seen ghastly murders in Italy, Japan, China, Scotland, Holland, Russia and throughout the USA to name but a few, so for a new Hitman map to stand out it needs not just to wow geographically but in its possibilities, too. Hitman 2 brings six new maps, each distinct in tone and gameplay. Here's what to expect. Hawke's Bay - one of the smaller levels in the Hitman franchise, but its scale belies tremendous depth and detail. The moonlight and the windswept beaches might conjure up Dear Esther, but the interaction opportunities are just as voluminous here as in sprawling previous hits like Sapienza. Beginning as a straightforward home invasion mission, Hawke's Bay challenges you first with simply breaking inside a luxury beachside home and taking care not to be spotted by its security cameras. However, once 47 makes it inside, the situation evolves and this quickly becomes an assassination mission. That quick change of pace and objective leads to some wonderful Home Alone-style booby-trapping while the waves crash against the shore outside. Miami - one of Hitman 2’s larger areas, taking place around a race circuit while an event takes place. That makes for huge crowds, tight security, many disguise opportunities - mechanic, mascot, security guard, punter, to name a few - and since your primary target is within a race car driving on track in front of many watching eyes, a particularly sneaky execution is required. Miami's many distinct areas, from pit lane to car park to glitzy tech showroom, stick in the memory and offer countless hit set-pieces. Santa Fortuna - another enormous area, this time located in a pocket of Colombia run by a dangerous drug Cartel. The town itself is constructed of iron offcuts and impromptu boards standing precariously next to run-down houses and separated by mud tracks left glistening by the rainforest climate. Deeper into the map is an underground tunnel network, a mansion, and a cocaine field heavily guarded by your targets’ employees. Mumbai - Your targets are hiding in plain sight within the crowded streets of Mumbai. It's a real tech showstopper, with NPCs filling the screen everywhere you go. In order to take out one of your targets here, you first need to ascertain what he actually looks like, so 47 must play sleuth before he takes up the assassin mantle. Whittleton Creek - a disarmingly pleasant corner of American suburbia, full of picket fences, bake sales, immaculate gardens, and - oh, two shady targets with dark pasts and crosshairs on their heads. Figuratively and, depending on your approach, perhaps literally, too. Isle of Sgaig - the final location in Hitman 2, and after a string of huge levels, a return to a smaller scale. The isle in question features just a handful of old gothic buildings featuring high ceilings, imposing masonry and the architectural scars of the harsh Atlantic winds. Parts of these buildings have been modernised though, most notably the enormous glass penthouse topping the central building.